"This cinematic experience proves to be master class on multiple levels "
During the 1950’s, the world of high fashion was influenced most by the work in the couture houses throughout Europe. Names like Christian Dior, Cristobal Balenciaga and Coco Chanel delivered enviable designs for the rich and famous from around the world. These designers became synonymous with the elite, and many of them still influence the world of fashion. The exclusive community of couture fashion is the atmosphere that Paul Thomas Anderson writes and directs his latest creation about The House of Woodcock with Daniel Day-Lewis in the title role and designer of Reynolds Woodcock. Woodcock is at the forefront of fashion and has built a reputation that draws royalty, socialites and film stars to his front door. Women are the centerpiece of his work and inspire him to achieve new designs that mesmerize the world. Despite his eccentricities and passions, many of these women also play a more personal role in his life. Like the pages of his sketchbooks, these beautiful women motivate him to create but become just as disposable after he tires of them. Until a young waitress from the country named Alma (Vicky Krieps) quietly enters into his life and business. Their relationship begins as a mixture of pleasure and creative revelation until she becomes more of an integral part of all aspects of his life. 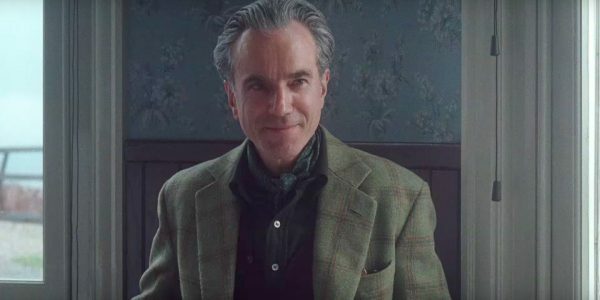 The combined works of Paul Thomas Anderson and Daniel Day-Lewis are a fascinating study of two artists who have carved out a unique niche within their crafts. Anderson as an innovative writer and director who has delivered some of this century’s most celebrated films and Day-Lewis as one of the most renowned, but reclusive actors in history. 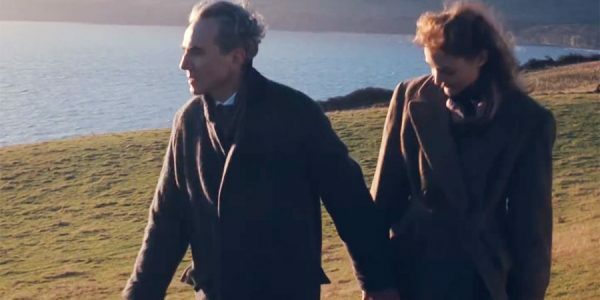 Their work on There Will Be Blood is considered by many both to be their best works, and this winning trend continues in Phantom Thread. The masterful writing, direction and acting come together to provide one of the most contemplative and alluring cinematic experiences this year. Anderson has written rich characters that have a subtle depth and drive that draw the viewer into this world of fashion and family. Despite some of the disturbing antics of the central characters and their twisted relationship, there is very little to critique in his writing. Capitalizing on excellent visual timing and magnificent performances from his lead actors, this shows the superior skills afforded this lesser known director. Combined with the deftness of the craft from Lewis, Krieps and Lesley Manfield as Cyril Woodcock, it is difficult to find a fault in this production. Lewis operates at a level beyond compare in the thespian realm, but he has been afforded an unrivaled and unassuming match with Vicky Krieps. Her work with this master craftsman is exemplary, and she can hold her own as the catalyst for change in The House of Woodcock. Along with Krieps, the role of Reynold’s sister played by Manfield is another example of how each aspect of the script and casting are sewn together into a beautiful and fashionable cinematic creation. 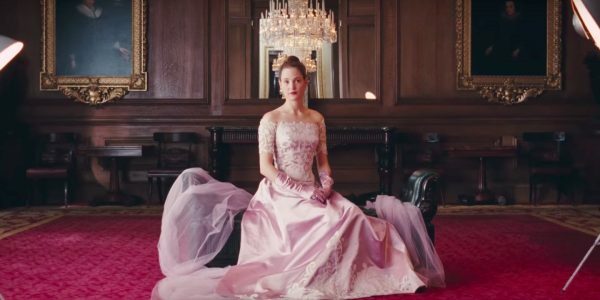 Phantom Thread can find its comparison in the couture dresses shown throughout the film. This is a film that is designed for the film aficionado who can truly appreciate the masterful touch of each detail that is expressed by a true master at his craft. Anderson, Krieps and Lewis should all be acknowledged and celebrated for their work on this work of art.